Let me start by saying how amazing this book was! It was sent to me by the lovely people at Mira Ink/Carina, and I loved it ever since I read the description...there was something about it that just pulled me in! Along with my review, I have a Q&A below with the Author herself; Eleanor Wood! It was so nice getting to ask all the questions I wanted about 'Gemini Rising' and more! Right from Chapter One, I was hooked. Sorana had such an interesting personality, though she wasn't as expressive of herself to everyone else. That's until the captivating and mysteriously alluring Johansson twins appear in the middle of term at Sorana's private school. They just buzzed popularity in their descriptions of being beautiful and fascinating. Sorana knows straight away that these girls aren't like the others, and they're not like a typical mean girl. There's the charismatic Elyse and the serene Melanie, twins, though distinctively different in their personalities. It surprises me that Sorana starts spending so much time with the twins, I almost knew something was going to happen that would be either spooky or out of the ordinary. The Twins seemed to be different and magnetic; they held secrets that seemed to be a dark shadow of their past, and not to mention they are leading Sorana down a path she never would've took before. The whole way through Gemini Rising, I was enthralled and literally glued to the plot. I found it so compelling and mysterious, not to mention the characteristics of the characters were life-like and believable. I felt connected to the book and not only did I read it in just a few days, but I've actually found myself going back to it and reading just one more time...or a few more! 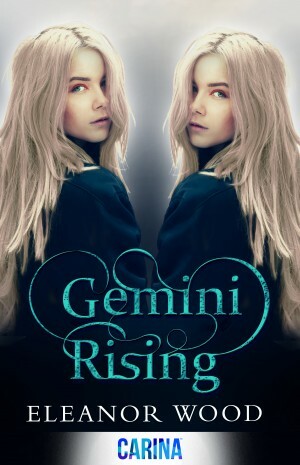 Overall, Gemini Rising was a beauty of a mystery, an incredible and thought-provoking novel with powerful twists and turns like a rollercoaster. A massive five-stars (or cats, ha ha) from me! Also, if 'Gemini Rising' interested you...get it here! And now for the Q&A with Eleanor Wood! I had so much fun asking all the questions I wanted to know about 'Gemini Rising' and beyond! Hi Ellie! First of all, I just want to say how enthralling and incredible ‘Gemini Rising’ was like to read. Was the idea for the plot spontaneous or did the idea grow over time? Thank you! The main components of Gemini Rising were all there from the beginning – the girls’ school, the characters, the title, a lot of the big scenes. However, I tend to get overexcited and chuck every idea I have at one story, so I had to cut a lot. I could probably write a couple of separate novels from the storylines I abandoned. For instance, the early drafts included a subplot in which Sorana got caught up in Elyse’s crazy scheme to kidnap their favourite rockstar! I really want to write that one up, actually. I’m a huge music fan and practically live on YouTube. You mention music a lot in ‘Gemini Rising’ and even created an imaginary band (Trouble Every Day) that the twins and Sorana bond over (a band that I would love to listen to!). Would you say music inspired and motivated you to write? Definitely! Music has always had a huge influence on my life, and it always seemed very important to this story. Similar to Sorana, discovering music like Nirvana and PJ Harvey (still my all-time favourites) literally changed my life. When I started going to gigs at about 15, it was the first time I felt like I had a real social identity – and suddenly it didn’t matter that I didn’t have a boyfriend and couldn’t get into the pub! I was a massive fan of the band Placebo, and Trouble Every Day are very much inspired by that. While I was writing, listening to songs from that time could instantly take me back to my teenage self. Also I always love references to music and pop culture in books – my favourite examples being Girl by Blake Nelson and Namedropper by Emma Forrest (and more recently I love Eleanor and Park by Rainbow Rowell). In the book, there is a Gothic vibe and toward the middle, it gets darker and really pulls you into the mystery of the twins and how Sorana is affected by them—that was my favourite part of the novel. If you had to choose a moment of the book that was your favourite, what would it be? I think the scene that still haunts me the most when I close my eyes is – not to spoil things for anyone – when Sorana and Elyse find themselves running around outside by the river at night, barefoot and in pitch black. As well as being an important moment in the story, it definitely plays into those Gothic sensibilities that I really wanted to evoke – it makes me picture things like The Lady of Shallot and Ophelia, or The Virgin Suicides, shot like a creepy old movie. The ending was spectacular and so unexpected—when was the point during the writing process of the book that you knew how it would end up? Before I started writing the story, I had a plan for the ending – but when I started writing those final scenes, it all changed and I wrote something completely different to what I had originally planned. It sounds super cheesy to say it, but the ending really wrote itself; in the end, I didn’t feel like I had much to do with it. It’s funny how that’s sometimes the best way. However, the very last line had been in my head all the way through and I’m glad I stuck with it, because it really summed up what I wanted to say. Have you always known you wanted to write a novel / be a writer? Yes, it’s all I’ve ever wanted to do. I love books so much, I don’t understand why everyone wouldn’t want to write their own! I’m always trying to persuade all my friends that they should write a book. It’s lucky I feel like this, because it’s pretty much all I’ve ever been good at! Gemini Rising is still sparkling and brand new, but do you have any plans for future books yet? Actually, I have so many plans and ideas that I don’t know what to do with them! Some are for novels in a similar genre to Gemini Rising, but some are for things that are completely different. I’d also still like to write some more stories based around Gemini Rising – as a reader, I love it when books I enjoyed (like Delirium by Lauren Oliver) have extra stories that you can get hold of, and I’d definitely like to have a go at that. 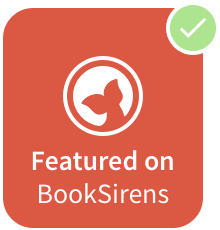 I’d also like to write some non-fiction for teenage girls – based around music and riot grrl zines and that sort of thing – and I really want to write a memoir. I just need to get them all written down! It’s been a pleasure reading Gemini Rising and getting to Q&A with the author herself! Thank you so much for answering my questions and of course, for writing such a page-turner!